When you go on vacation, one of the most significant decisions is to choose where to lodge. Generally, accommodation represents 50% of the cost of the trip, so it’s a decision you should think about very carefully. It is also important to understand that choosing where to stay can define whether your vacation will be unforgettable or not. Today’s digital world allows you to explore a myriad of options in different destinations. Also, there are many more options and flexibility to choose from. There is everything from traditional hotels, to hostels, condos and even houses. It is essential that you know the different options so that you can make the ideal decision. How to Choose the Perfect Vacation Accommodation? First of all, it is vital that you decide what type of vacation you want. You may want to take a getaway with your partner. You may also be looking for excellent quality family time. In any case, with this in mind, the second step is to decide the destination. One of the most stylish options nowadays, for example, is to enjoy an extraordinary vacation in Costa Rica. This is a destination that can provide you with unforgettable moments, of course, if you choose the right place to stay. These are the accommodations par excellence. One of the advantages is that the best places offer many comforts. You can find different options and amenities, depending on your budget and the category of the hotel. These are places that are mainly used by young people when they venture to travel. They tend to be cheaper, so the services of these places are usually minimal. If you decide on a hostel, find out the type of accommodation very well. Consider issues such as whether the bathroom is private or shared and the type of breakfast they offer. This is an option that gets stronger every day. You usually agree directly with the owner, so it’s good to be careful. If you decide on this option, ask about the comforts they offer you when you negotiate. This is an ideal selection for large groups, such as friends or families. The owner may ask you for an additional deposit ost. This is requested in case of damage to the property during your stay. The significant disadvantage is that you must take care of the maintenance during your stay, or pay separately for the service. 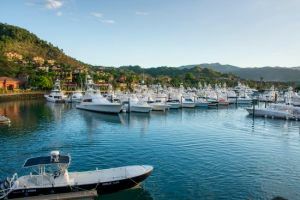 If you still can’t find what you want within the standard options, the ideal choice for you is to stay in places that offer superior accommodations such as Los Sueños Resort & Marina. This place combines two attractive but incomplete options separately. On the one hand, you’ll have the convenience of choosing more comfortable accommodations than a room, such as a luxury condo, a premium condo or a private home. Also, los suenos accommodations are much more than just a comfortable place to stay. Here you will find all the luxury of the best hotels in the world, with an extraordinary number of value-added services. You won’t just feel at home: los suenos accommodations are focused on pampering you to the fullest so you can have one of the most impressive experiences of your life. All this framed in the paradisiacal environment that only Herradura Beach in Costa Rica can offer. Contact us and start now to live the experience; we will be happy to assist you.